You may have noticed that I have not been very active on this site for a while. It’s not that I’ve given up blogging; I’ve just found I can’t manage to keep up with posting blogs on more than one site! I would really love to post more here, but I am not holding my breath for that happening – and neither should you. Brompton folding bicycles have become a very large part of my life over the last year and a half. If you are interested in what they are, and what I am now getting up to, please read the following post I have shared from Melbourne Brompton Club – this group is where the majority of my time and interest is now devoted. Happy reading, writing, riding, walking, and travels everyone! Two Bromptons are still smaller than a regular bicycle! See you at the other end! 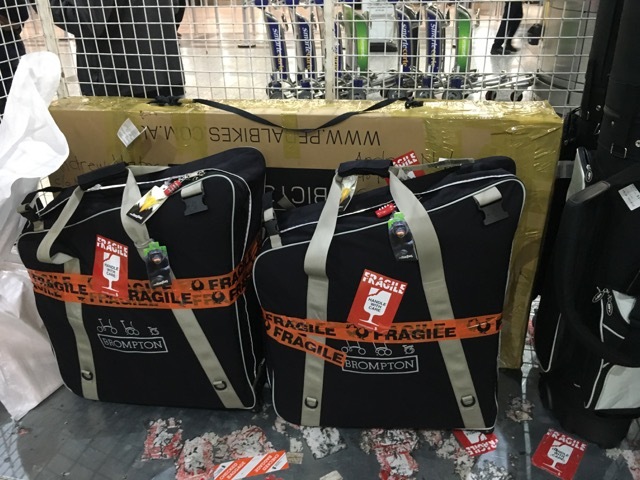 It was true; the whole reason for our holiday to London – halfway around the world – was for a bicycle race that would be done and dusted in under an hour. Well under an hour, as it turned out. 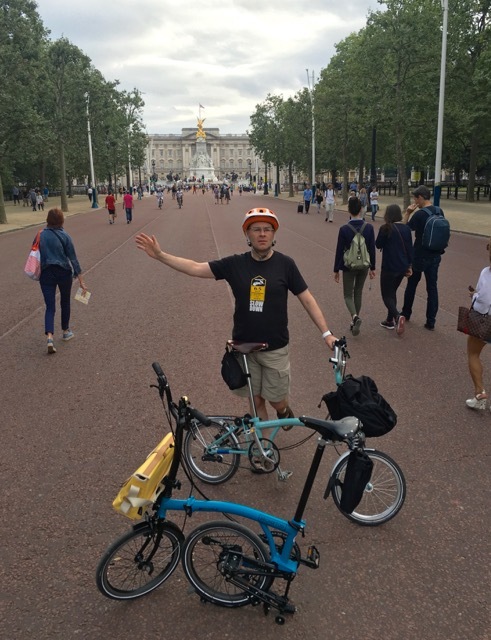 But as I’ve previously blogged, having won the chance to race in the 2016 Brompton World Championship Final – right outside the front of Buckingham Palace! – I wasn’t going to miss out!